Most of my train journeys to Edinburgh are in the early morning with good views of the Cumbrian hills and the Southern Uplands. Not so on this occasion, I was on the last train in the evening. In the week or so leading up to my trip yesterday evening there had been innumerable reports of problems on the rail network so I was not hopeful. As it turned out, my train was only three minutes late and I was soon installed in my seat with a coffee in front of me. The staff member in the carriage explained that due to staff sickness there would be no at-seat service in first class after Preston and plied us with enough food and wine to take us all the way to our destination. The wine came in a plastic bottle which I will hang on to as they are useful means of carrying alcohol into festivals where glass is forbidden for obvious reasons. I settled into the rest of my journey with Jim Perrin’s ‘Travels with a Flea and other Eccentric Journeys’, a collection of his essays on trips to various parts of the world and around his home in Wales. 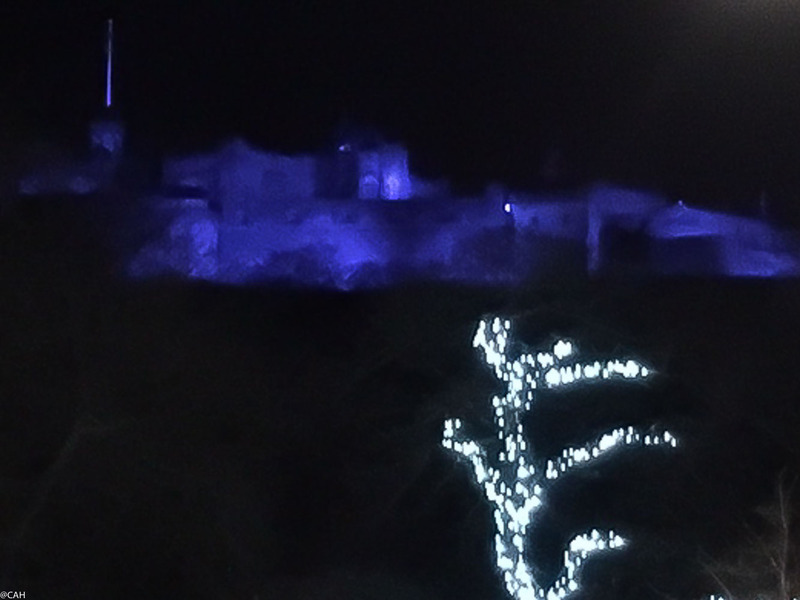 We arrived in Edinburgh on time and although my usual short cut to the bus stop was blocked by the ice rink and Christmas market, I did get a quick shot with my phone of the castle lit up in blue for St Andrews Day just before the bus pulled in. I came up a little earlier than James and my father who will drive up on Friday afternoon as I wanted to fit in some last-minute Christmas shopping. I then discovered several things that will distract me from shopping. Firstly, Edinburgh is doing something a little different for the festive season this year. Each day from the 1st December to the 24th they are opening a building or part of a building which is not usually accessible to the public. 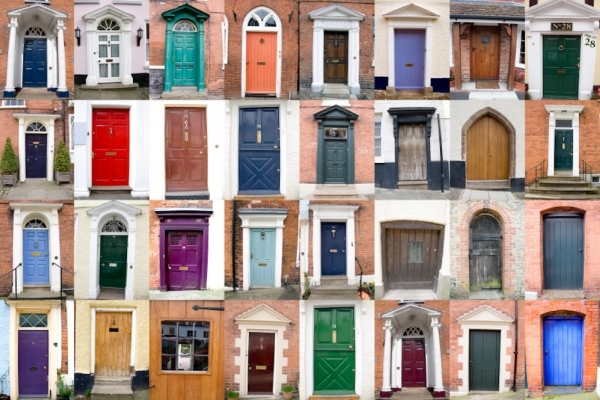 The event, which is free, is entitled 24 Doors of Advent. Each day from 1-24th December, a different building or part of one not usually open to the public, will open its doors for a day. I plan to visit the venues for the 1st and 2nd and possibly the 3rd, depending upon the preferences of the others. I also discovered that the Scottish Chamber Orchestra are performing Peter Maxwell Davies’s ‘Orkney Wedding’ on Thursday evening so that is my treat for this evening. 24 Doors of Advent is such a cool concept. I wish Santa Cruz followed its lead, and I think it’s awesome you’ll be taking a peek into several buildings one can’t usually explore and learn about. I love the picture of the castle in blue!